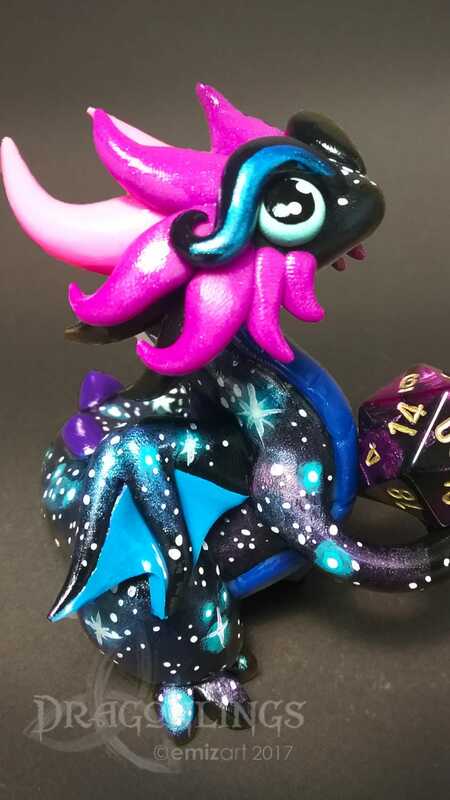 This little lady was made entirely by hand! The process begins with an aluminum foil core, shaped into the head, neck, and tummy of the Dragonling. The core is covered in the base color of polymer clay, and the tail, legs, horns, and other details are attached before the entire piece goes into the oven! 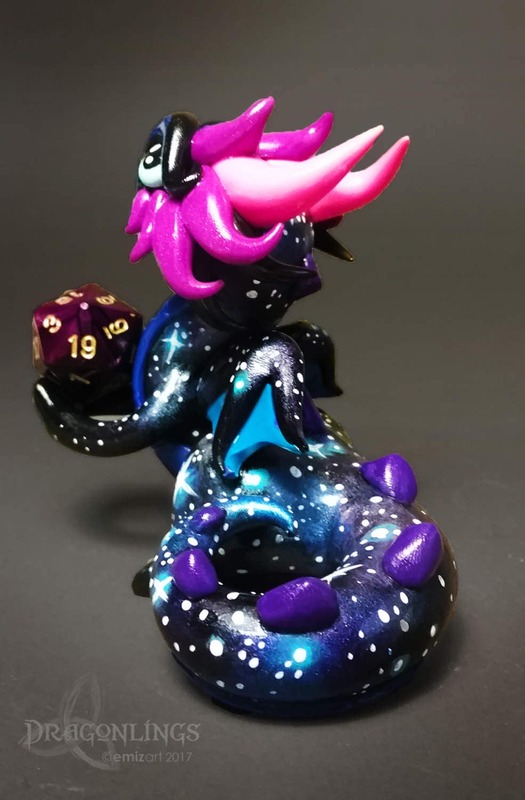 After the sculpture bakes and cools, the unique galaxy-themed paint scheme is done in acrylic paints. 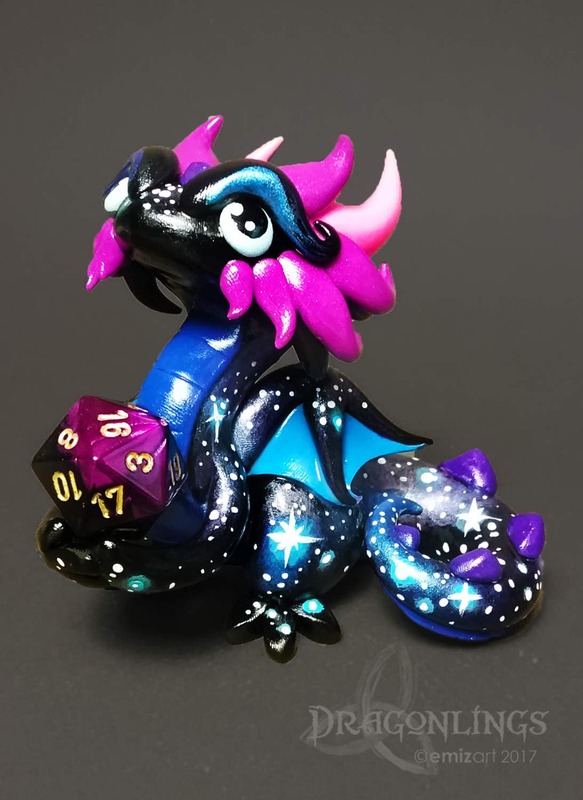 The finished Dragonling is finally sealed in a high-gloss acrylic varnish to add shine, bring out the brightness of the colors of clay, and to help protect the sculpture. 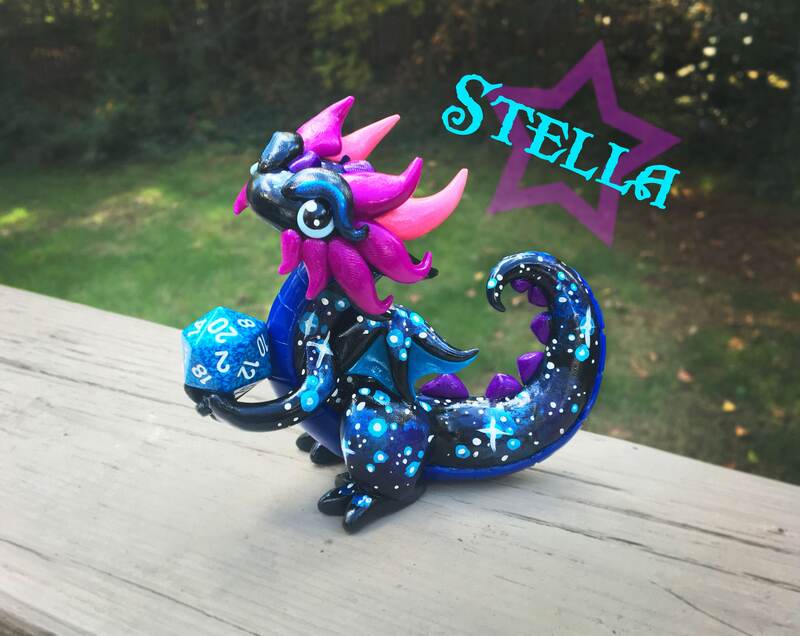 Stella is one of Emizart's collectible Dragonlings. As such, you have the option to add on a Certificate of Adoption with your purchase. The certificate is printed on 6"x4" heavy card stock with a glossy finish. 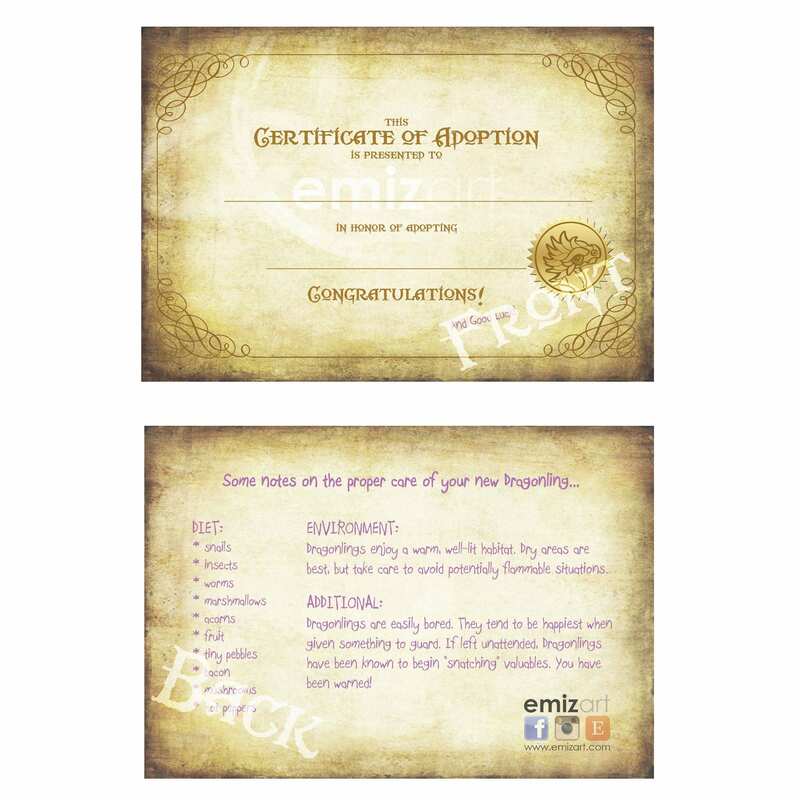 You can choose for the certificate to be left blank, or you can have it customized with the name of name of the Dragonling as well as it's new owner! Filled out certificates are completed in handwritten calligraphy by the artist. There is no extra charge for the artist's signature on the certificate, if you'd like that as well! My daughter loves these dragons! They truly are amazing. Such talent! Thank you! 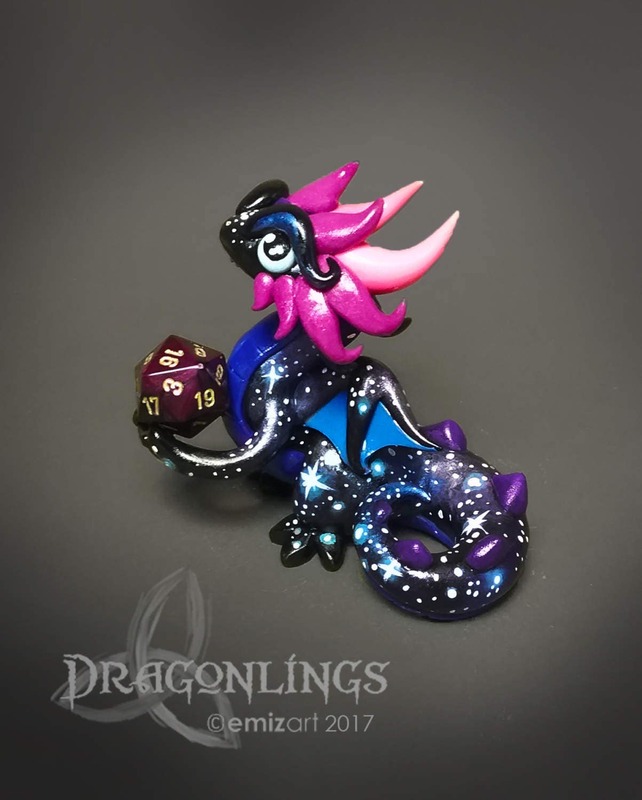 I love this little guy he is soooooo amazing this is my first full size dragon and I'm in love with her.